The basic truth is that racing drivers want to drive races – preferably on a regular basis. Pedro de la Rosa had a lengthy wait in the wings before that opportunity came his way again. Since 2003, the Spaniard had been working as McLaren Mercedes’ test and reserve driver. During those seven years he drove a total of nine races. Watching from the sidelines he pined like a pup, but fought like a lion for his comeback. “My incentive for working as a test driver came from my firm belief that I would make a comeback as a racing driver,” says De la Rosa. Which also explains how he survived the 2009 season. “When the test ban was introduced during the season, I was condemned to be a spectator,” he recalls. “Mentally it was a really tough year for me.” Now he’s raring to rejoin the competitive fray and enjoying the steady rise in his adrenalin count. He also has his former employer to thank for his return to a racing cockpit: “McLaren Mercedes is a super team. I reached maturity there and learnt an amazing amount.” He is convinced that today sees him a better driver than when he took up the post in 2003. In the past, test drivers frequently spent more time behind the wheel than the racing drivers themselves. Even so, for De la Rosa it was the Grands Prix in which he stood in for other drivers that remain, for him, the highlights of that era. Foremost among them was the 2005 Bahrain Grand Prix, where he was summoned to the cockpit at short notice and, following a two-year break, came up trumps with a fastest race lap. A year later he exploited his role as stand-in driver to secure his first podium after finishing second in the 2006 Hungarian Grand Prix. Experience is a precious asset which he brings with him to his new team – something Peter Sauber is well aware of. The Team Principal has long upheld his contact with the Zurich-based Spaniard and filled him in on the team’s developments and future prospects. “Peter was very honest with me,” says De la Rosa. “He never raised any false hopes, but he always kept his word. Plus I was very impressed with the factory and the wind tunnel in Hinwil. I was really keen to join Peter Sauber.” For both of them, the second half of 2009 proved to be a rollercoaster ride with a host of different issues at stake. Among the lessons De la Rosa has learned in the course of his career is the realisation that talent in itself isn’t everything. He is a hard worker and, beyond his diligence and motivation, is helped not least by his natural intelligence. De la Rosa ranks among the drivers with the greatest technical nous, as well as being acutely aware of the economic and business ramifications of Formula One. He has no regrets about abandoning his economy studies for the race track, though he’s sorry he still hasn’t managed to finish his degree. 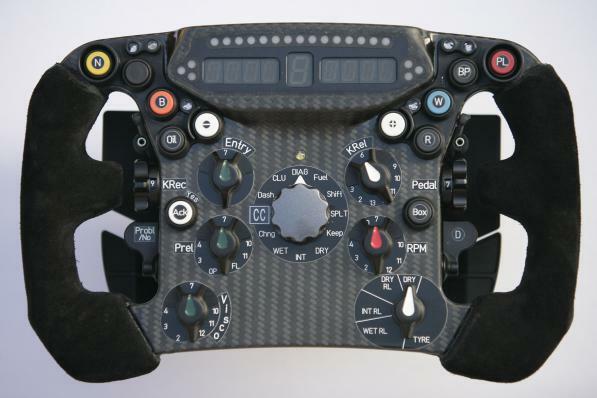 But then, working in Formula One brooks no distractions. De la Rosa was not one of those kids who took up karting before starting school. Up until the age of 17 his life was dominated by school and remote-control off-roaders. It was a hobby he took very seriously and one in which he excelled, winning the European Championship twice and once finishing as runner-up in the World Championship. His first year of karting quickly demonstrated that his talent for steering vehicles himself was on an equal footing. He was soon talent-spotted by the Spanish automobile federation, who began supporting him. After ticking off various Formula championships in Spain, his field of action swiftly expanded. Britain boasted the highest competitive standards in these racing classes so this is where he headed, while the next stage was a three-year stint in Japan, from 1995 to 1997. He contested Formula 3, Formula 3000 and the GT Championship, sweeping up all three championship titles. Now he was ready for Formula One. In his private life, too, Pedro de la Rosa is not rooted to his homeland, fond of it though he is. The Spaniard has led a cosmopolitan life since the age of 18. In January 2007 he moved to Zurich with his family – wife Maria Reyes and daughters Georgina and Olivia. Their youngest daughter, Luna, was born in Zurich in 2008. One reason for this move was to give the children a multilingual upbringing. In addition to Spanish, they now chatter away in German, Swiss German, English, Portuguese and some Catalan. “Besides,” he adds, “this change has given our life a lot of new impulses, and we really enjoy that.” The fact that he now lives practically on his employer’s doorstep was unforeseeable, but is a more than appropriate circumstance. De la Rosa seeks a close rapport with the team, and he will certainly be contributing his part. Trips to Spain primarily revolve around family visits. De la Rosa is a Catalan and speaks the language, along with Spanish and English. Asked about his identity, his spontaneous response is: “Outside Spain I’m Spanish, in Spain I’m Catalan, and in Catalonia I’m Barcelonés. Beyond that these issues don’t concern me.” Least of all right now: Pedro de la Rosa is totally focused on the coming race season – and his rising adrenalin count.